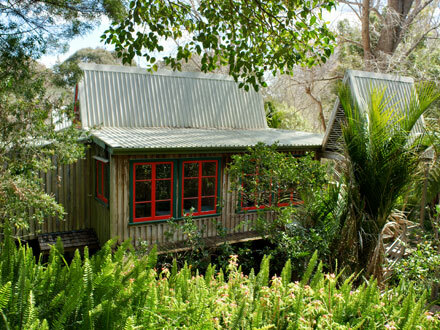 The Tree House lodge is nestled in a natural landscape of native forest and subtropical gardens beside Hokianga Harbour and is conveniently located close to Hokianga vehicle ferry and the village of Kohukohu. Stay in an owner-built wooden lodge, in a cabin or pitch a tent in 6 hectares of subtropical gardens, native forest, meadows and woodland. Walk amongst trees and birds on natural gravel paths and wooden stairs to cabins, rooms and shared kitchen and bathroom facilities. The wooden lodge and cabins contain double, single, twin or share rooms. The Tree House is a BBH World Traveller Accommodation and for over 20 years has rated in the top 10% of BBH traveller surveys and recommended by traveller guides such as Lonely Planet.